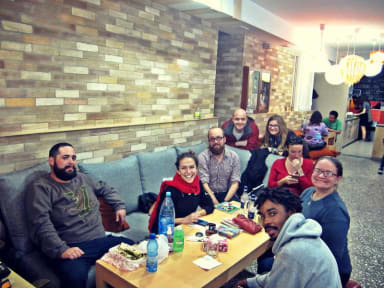 Envoy Hostel i Yerevan, Armenia: Bestill nå! This is a very good hostel. The three best thing with it is: 1. Perfect service from people working there, and they really care about your stay, they also remember your name. 2. Location is good, you are close to everything in the city. If your not close, the hostel will help guide you or you can join one of the tours the have. 3. Atmosphere. 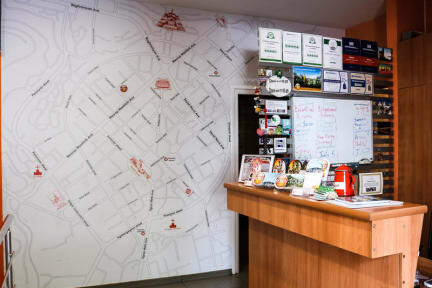 The combination between a cleen hostel, nice people working there and social areas in the hostel, is a great start and gives you a positive beginning. Rent og pent. Hyggelig personale. Gjenstående trafikkstøy natten igjennom. Svært lytt i huset, til dels endel bråk. Passer nok best for unge mennesker som liker å være svært sent oppe.